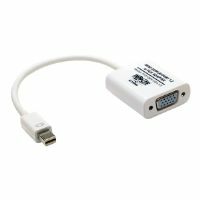 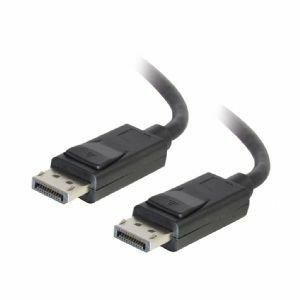 This cable is an ideal solution for connecting the DisplayPort output of a laptop to a computer monitor which accepts a DisplayPort input. 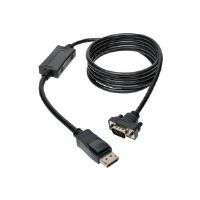 This cable carries a digital audio/video signal and the connectors feature latches which secure the cable in the port. 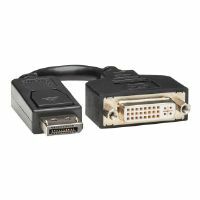 Support of a High Bit Rate (HBR) bandwidth means that this cable can carry up to a 8k resolution. 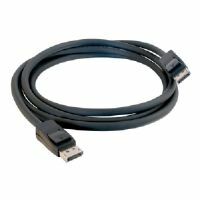 This cable meets the requirements of high performance applications.